Although we are less than 0.2 percent of mankind, the Jewish People have been able to accomplish extraordinary things because of our belief that the impossible could be achieved. 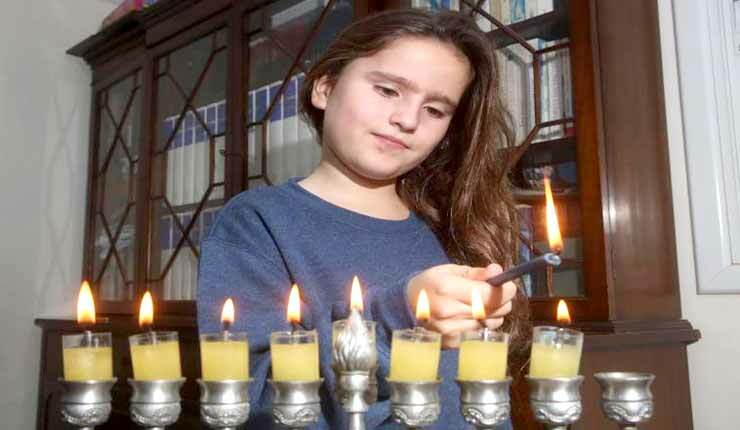 Hanukka, our Festival of Lights, is fast approaching. In recounting the heroic story of the Maccabees, the Jewish rebel group that lived in the Land of Israel in the second century BCE, we are reminded that our freedom isn’t guaranteed. And as we look out at a world filled with serious challenges facing the Jewish People, the lessons of history call us to action. During the time of the Maccabees, the Land of Israel was dominated by Greek armies. Many Jews, especially the cosmopolitan elite, sought to assimilate into the Greek culture as a road to political and economic power. The Maccabees – a small group of Jews determined to protect their Jewish identity and homeland – used their wits, courage and determination to defeat the Greeks and establish a free Jewish nation in our homeland, notwithstanding their tiny numbers and inferior weapons. Today, in the face of challenges, how can we find inspiration in the Maccabees’ example? How do we redouble our commitment to strengthen and secure the future of the Jewish People and the State of Israel? During this season of giving, what are the most important gifts that we can give to each other – so that future generations will live in freedom, security and prosperity? With these questions lingering in my mind this holiday season, I have put together a list of the eight greatest gifts – one for each night of Hanukka – that we must give in every Jewish family so that our people will continue to thrive. There is nothing more powerful than understanding who you are and taking pride in where you come from. If we can’t instill Jewish pride in our next generation, there will no one left to carry on our tradition and face our future challenges. Every day, I feel incredibly fortunate to be a Jew – to come from a tradition that is the original source of the Western values, and to be a part of a people who, while tiny in numbers, have accomplished extraordinary things in so many fields. I am proud to be connected to Israel, our Jewish homeland, a country that became independent against all odds and serves as a beacon of light and innovation, making the rest of the world a better place. Through education, community involvement and family heritage, we must foster a sense of pride in being Jewish and a pride in the State of Israel, in our children and grandchildren. The State of Israel, the Jewish People and the Jewish faith have only survived because Jews were willing to stand up and fight for what they believed in when our Jewish homeland, our people, our traditions and our values were threatened. It’s not always easy or convenient to be a Jew, or to be a supporter of Israel. Yet, when enemies like Iran and Hamas threaten the existence of Israel, or antisemites seek to spread vile hatred against the Jewish people, we need the courage and conviction to stand up and speak out. Alongside courage, the Jewish People also need to be consistent and persistent. It’s not enough stand up once; we need to cultivate a next generation that has the strength and will to stand up, again and again, and fight against our detractors. Whether you are building a business, working toward a degree, raising a family, or advocating for your community, the ability to work hard and keep going strong in the face of adversity may be the single most valuable skill. Over the course of centuries wandering as a small and stateless people, we learned to invest in the greatest resource: knowledge. The Jews have prioritized education above all else. Although we have been the underdog for much of our history, our infatuation with learning has enabled us to succeed. Today we must continue this investment, imparting the knowledge that not only gives our children the ability to thrive in 21st-century careers, but also that grounds them in Jewish wisdom, provides a moral center and makes them committed to family and community. The Jewish propensity to innovate has driven inventions ranging from ethical monotheism to the Theory of Relativity to Waze. This has been the secret sauce of Jewish survival, allowing us to adapt and succeed in a wide range of cultures, countries and eras. Empowering our children to think outside the box will be critical for their success in our modern information era, and for the survival of our communal institutions, which must adapt to remain relevant for the next generation. Although we are less than 0.2 percent of mankind, the Jewish People have been able to accomplish extraordinary things because of our belief that the impossible could be achieved. From Joshua’s conquest of the land, to the Maccabees overcoming the Greeks, to the newly formed State of Israel defeating six Arab armies in 1948, we have held the belief that the impossible can be achieved against all odds. We must empower our children with this perspective, as they go out to fight for their dreams and contribute solutions to the challenges facing Jews worldwide. In the Talmud it says that each member of the Jewish People is responsible for the rest. In times of persecution, the Jews always knew how to unite and support one another. In response to the many threats facing the State of Israel, the Israeli people join together as one big united family that cares for and protects each other, in times of war and peace. We are infinitely stronger when we are united – religious and secular, in Israel and in the Diaspora, old and young. Instilling this sense of brotherhood in our children gives them confidence that their extended family – the Jewish family – is behind them and compels them to action when other Jews need their help. Discovering and channeling your passion in life to make a difference in the world is the key to personal fulfillment. If you don’t make each day matter and don’t have passion for how you spend your time and resources, you don’t have much at all. Each and every day – not just on Hanukka – I strive to give my children and grandchildren the encouragement to discover their passion and purpose, and the support to channel that passion into careers, families, leadership, community and the country in which we all live. This Hanukka, let us give and inspire all eight of these gifts – and many more – to enrich the lives of our young generations, strengthen our families and secure our common future. By uncovering and unleashing the light in all of us, we can continue the miracle of Hanukka, year after year, writing a new chapter in the ancient story of the Jewish people.